Tide Original detergent, 2x Ultra Ivory Snow Gentle Care and two Victoria's Secret shower gels had the highest levels of 30 products, according to tests sponsored by Citizens Campaign for the Environment. Twenty-three of 30 body washes, detergents, baby products and shampoos tested positive for an emerging contaminant classified by the EPA as “likely carcinogenic to humans,” a chemical that has been found in Long Island drinking wells, a Farmingdale-based environmental group announced Monday. Victoria Secret’s shower gels “Bombshell” and “Love” had the highest levels of 1,4-dioxane, according to tests commissioned by Citizens Campaign for the Environment. Those contained 17 parts per million and 16 parts per million, respectively, the only products above the federal recommendation of 10 parts per million for skin exposure. All the products that tested positive exceeded the Environmental Protection Agency's health recommendation for drinking water, of .35 parts per billion, which has been detected at trace levels in Long Island drinking wells from western Nassau County to Montauk. The products with the highest levels of 1,4-dioxane included Tide Original laundry detergent, 2x Ultra Ivory Snow Gentle Care, Tide Simply plus Oxi (Refreshing Breeze), Pantene Pro-V Nature Fusion Shampoo, All with Stain Lifters, Herbal Essences Deep Moisture Shampoo, Olay Moisture Ribbons and Arm & Hammer (Clean Burst, 2x Concentrated). Esposito called for manufacturers to remove the chemical from its product or reformulate its manufacturing. She also said federal and state governments should ban 1,4-dioxane in personal care products and set strict drinking water standards. 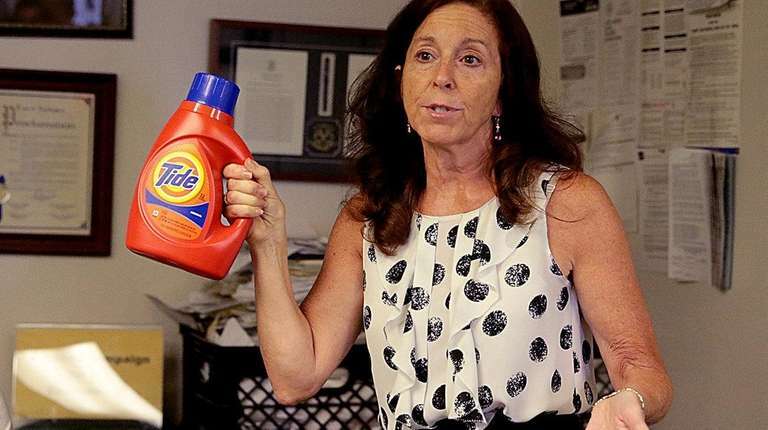 A state bill that would have banned the chemical from household products failed to pass the state Legislature this year. Previous surveys of products showed that about 46 percent of products contained 1,4-dioxane. Product manufacturers called the report misleading and said it was still safe to use the products. A Victoria’s Secret representative did not respond to requests for comments. Esposito compared the industry's response to tobacco companies denying their products caused cancer. She said companies have the technology to remove the toxic chemical, "but they chose to fool the public into believing it is safe." 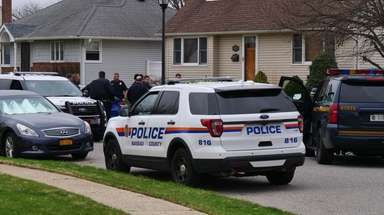 The product samples were bought at Long Island stores as a general sample of items found in a typical home, Maureen Murphy, executive programs manager with Citizens Campaign for the Environment, said at a Monday news conference at the group's Farmingdale office. The products were sent to a lab near Rochester and tested with a $22,000 grant from the Long Island Community Foundation, a philanthropic organization. Esposito said it was the first independent testing of products for 1,4-dioxane in over 10 years. The products that tested positive were Neutrogena Rainbath Shower and Bath Gel (Ocean Mist), Suave Essentials Body Wash (Wild Cherry Blossom), Bath and Body Works Shower Gel (Sonoma Weekend Escape), Purex plus Oxy Stain Removers (Fresh Morning Burst), OGX Lavender Platinum, John Frieda Brilliant Brunette, Dove Nutritive Solutions (Coconut and Hydration), Tresemme Moisture Rich with Vitamin E, Suave Professionals Moroccan Infusion (Color Care), Garnier Fructis with Active Fruit Protein, Johnson’s Baby Shampoo, Disney Frozen Bubble Bath, Original Bubble Mr. Bubble. 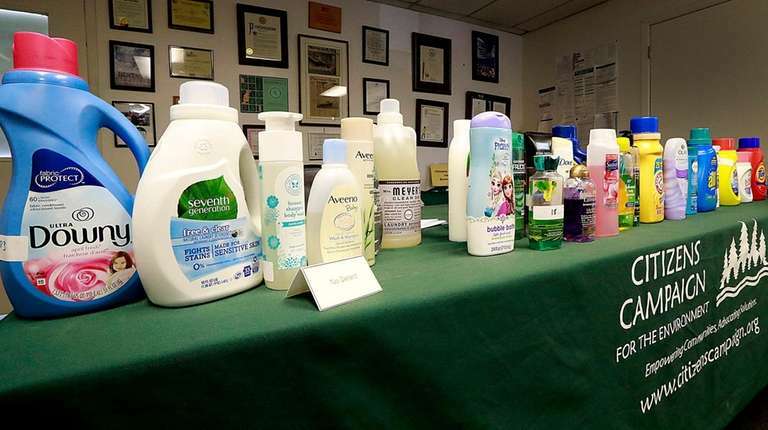 The seven products that had no trace of 1,4-dioxane were Mrs. Meyer's (Lavender Scent), Seventh Generation (Free and Clear), Ultra Downy April Fresh (Fabric Softener), Aveeno Baby Gentle Wash and Shampoo, The Honest Company Shampoo & Body Wash, Method Body Wash (with Avocado Extract) and Aveeno Active Minerals Pure Renewal. The chemical is a byproduct of a process used to reduce the risk of skin irritation caused by petroleum-based chemicals. Because it's not an ingredient, manufacturers do not have to list it on labels. And because 1,4-dioxane is an emerging contaminant, the state and federal government have not yet set a safe standard for drinking water. Gov. Andrew M. Cuomo said last year the state would set a drinking water standard, though it has not yet done so. Newsday has reported that the chemical — used in solvents and present in some consumer care products — had been detected in trace amounts throughout Long Island’s drinking-water supplies, according to testing ordered by the EPA. One location, a now-closed well in Hicksville, yielded the highest concentration — 33 parts per billion — of any drinking-water sample in the nation. That reporting also revealed that, in the EPA’s national survey of all large and some small drinking-water suppliers, 71 percent of Long Island districts that had detections of 1,4-dioxane found levels at or above .35 parts per billion. Nationwide, almost 7 percent of districts with detections saw concentrations at the level. 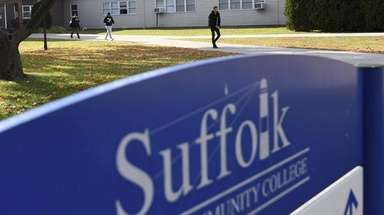 The Suffolk County Water Authority has successfully tested a method to remove 1,4-dioxane from drinking water, though it's expensive, Esposito said.